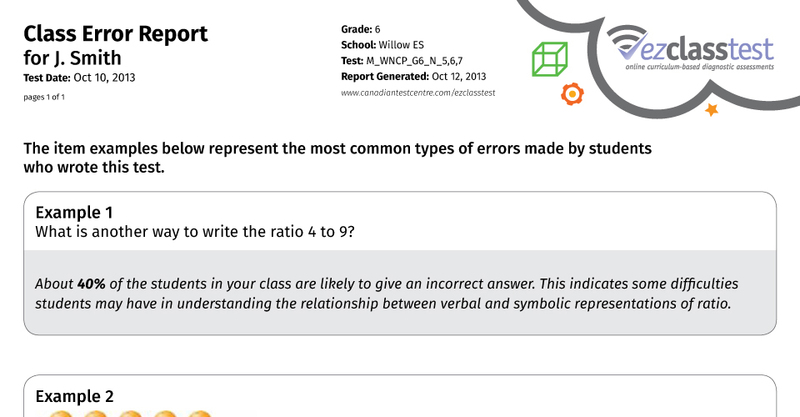 ezclasstest is designed to be used by teachers to assess their students as often as they would like throughout the school year. The teacher decides when to administer tests for specific outcomes as (s)he teaches those outcomes. 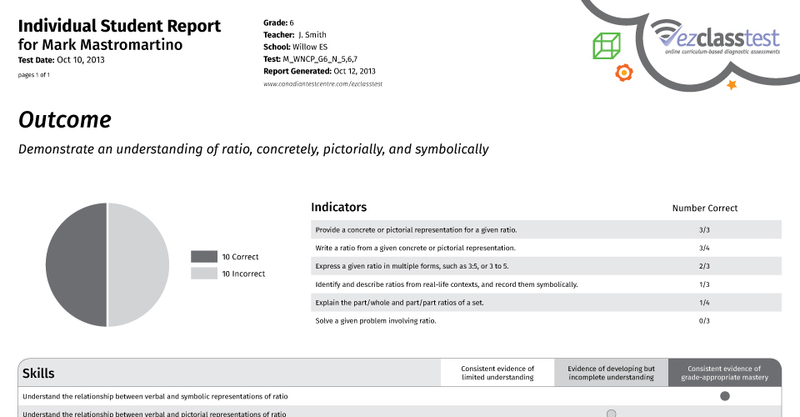 ezclasstest makes it easy to frequently administer short assessments. 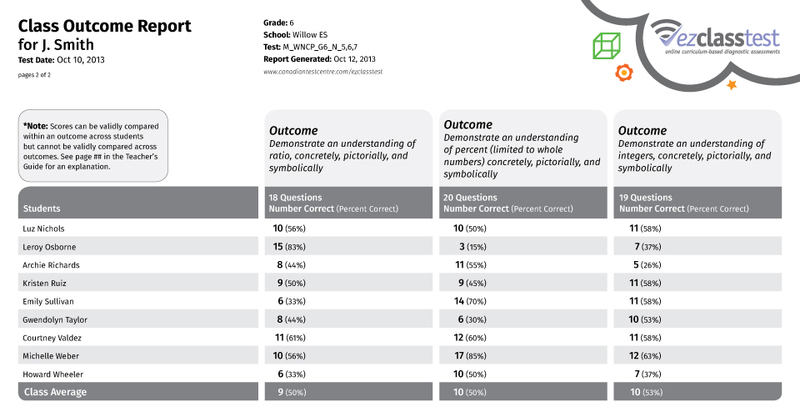 The teacher creates tests easily by selecting between 1 and 3 outcomes to be tested. 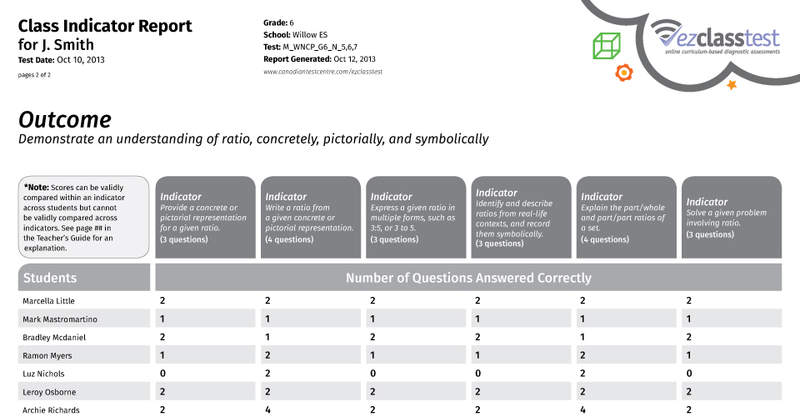 Continuous assessment throughout the school year provides the teacher with data that can be used to inform instruction. The students access the assessment using a computer or tablet. The student interface provides all the required tools (e.g., calculator, protractor), and the universal design (e.g., font enlargement) allows for access by most students. 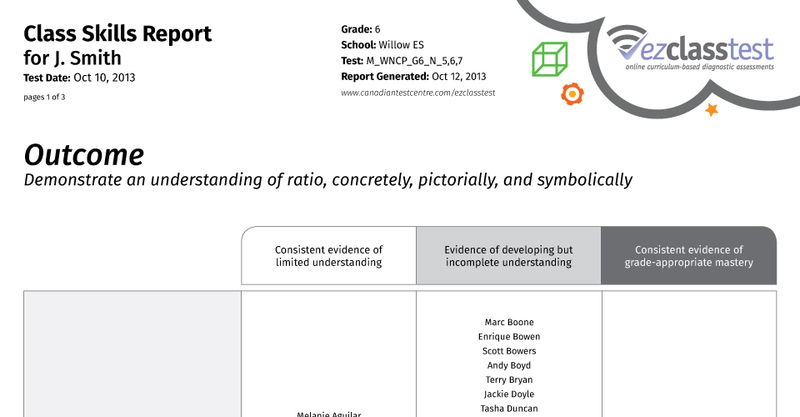 When the teacher requests diagnostic reports, pdf reports are sent to the teacher’s inbox.